Home CAMERAS Gift Guide 2018: Lomography cameras, Films And Lot More. Capture Your Festive Moments Using Lomography Cameras! All of us like to click photographs whether it is of food, family, events, nature or our own. There is no perfect time and moment to click a picture. In fact, we have to make each and every moment perfect by capturing it. To make such events and moments capture Lomography family has come up with its latest and cool Lomography cameras, films & lenses. 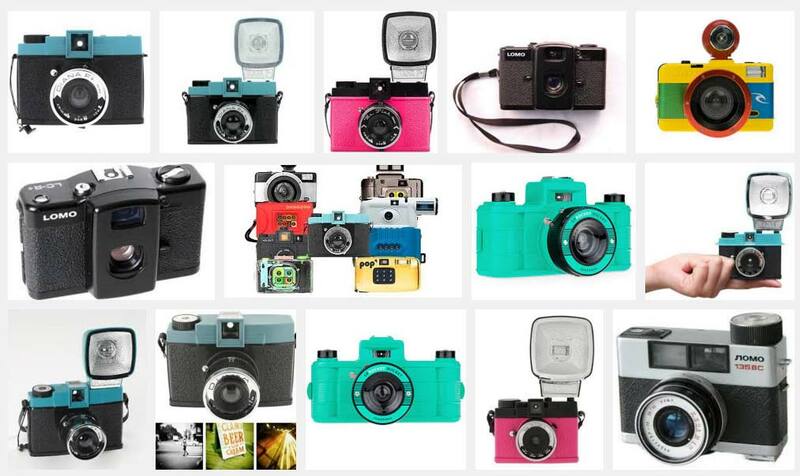 The creation by Lomography which provides you fully automatic shutter mode. it also has two shooting modes which enable you to capture quickly. you can either use Auto mode or use Bulb mode to get up to 30 seconds’ exposure. It has been packed up with sensors (Both in front and back of the camera), color gels, wide-angle lens, fish-eye lens etc. It is a gold-toned camera launched by Lomography inspiring by the sun shimmering down on the Caspian Sea. it can twist your surrounding to 170° field of view. you can get as close as you want to focus your picture. The panoramic camera with its impressive feature of 1:3 panoramic aspect ratio has been launched to capture the bigger shots. it has a focal length of 30mm and an impressive 106° field of view. along with this, it even provides you to have multiple exposures and blend your panoramas to make your photographs more creative. Pocket perfect camera with amazing features such as wide-angle glass lens, Programmatic auto exposure, multiple exposures, and built-in lens curtain cover. it is also flexible to connect to accessories such as cable release and hot shoe flash. 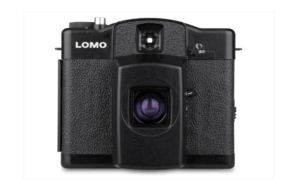 on purchasing this camera you can get up to 15% off on Lomography films. As we all know that Diana is famous for its dreamy and radiant captures, Diana+ has come up with more interesting and cool features introduced by Lomography. Alon with multiple exposures it provides various apertures like Pinhole, Cloudy, Half-Shade, and Sunny which will make your photographs look stunning. LA Sardina enables you to shoot a regular 35mm film. these cameras have a wide-angle lens and rewind dial. Rewind dial helps you to turn back frames at any time you want. many of the cameras under this category like beluga edition, CZAR edition, Splendour edition etc. are being offered at lower prices in this festive season. Have you ever thought of creating your own camera? 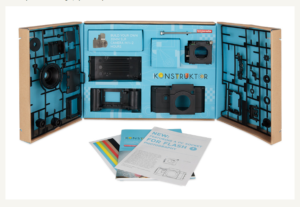 if Yes then Konstruktor DIY kit is the best product brought to you by Lomography. Top-down viewfinder, multiple exposure functions, bulb setting for long exposures and a detachable lens are the set of features provided in it. After building up your own camera (kunstruktor F) you can even use the stickers provided to make it more unique. 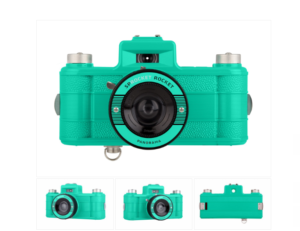 This festive season Lomography has come up with great deals. Along with Discounts on Lomography cameras, you can find a sale on various other Lomo’ products like films, lenses etc.